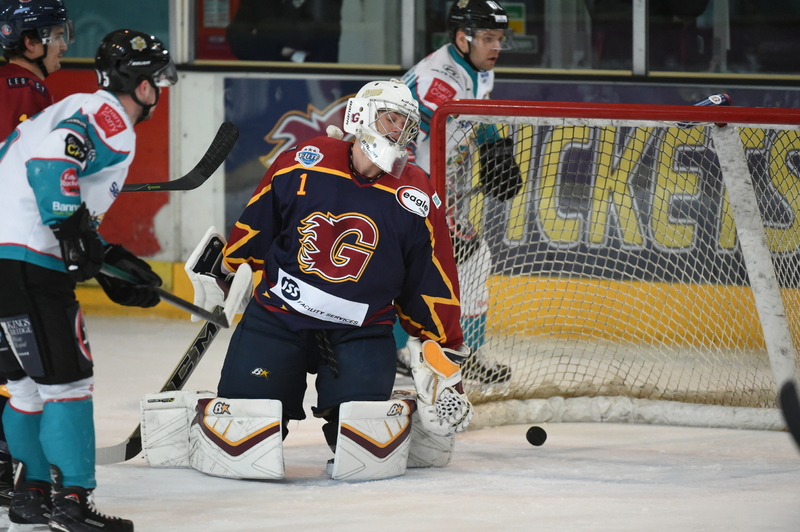 FC Hockey Media‘s Noel Gillespie brings you a deep dive into this weekend’s Belfast Giants opposition, the Guildford Flames. 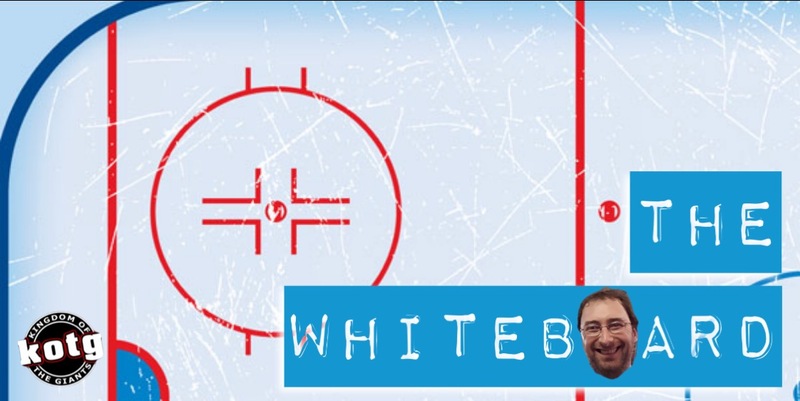 Smarten up on everything from systems, style of play and projected lines ahead of game time! I tried out a couple of titles for this one, what with going mainstream and all. “Here’s What I’ve Seen, Coach Will Change Everything” seems apt for a pretty fluid sport tactically, but luckily it’s difficult to completely overhaul a hockey team in a week. “Cat’s Whiskers’ Belfast Correspondent Infiltrates KotG” has a certain ring to it, but… well… I’m a man of several hats, but I missed the Giants Vs Panthers game to attend a wrestling show, so I haven’t been corresponding with Nottingham very well of late. I think we’ll stick with The White Board for now and see how we go. The Belfast Giants head into another three game weekend on Friday, starting with two home games against the Guildford Flames followed by a tricky away game to the Nottingham Panthers on Sunday. The double-header series gives both Adam Keefe and Paul Dixon an opportunity to match wits in a way they are not able to often, and the adjustments made during these mini series can sometimes make the difference between earning four points or splitting the series with two points each. For example, in the piece I wrote on Fife two weeks ago, I said that their defencemen typically try to pass to a forward at the half-wall on their breakout, who can then skate himself or pass to a supporting centre. In the first game against the Flyers, the Giants pinched up the boards quite aggressively to counter the first pass being made to the blueline, and had some success in disrupting the Flyers breakout with this pressure. In the second game, Fife made that pass deeper into their zone followed by a second pass to centre ice, meaning the Giants could not pressure the first pass as effectively and Fife could break out of the zone much more cleanly. The Guildford Flames top line can adjust quickly to what their opponents defence are doing due to the options that playing as a five man unit gives them. Calle Ackered and Jesse Craige join Ian Watters, Kruise Reddick and John Dunbar as often as Coach Dixon can send them out together, favouring an offensive puck-possession style of game with all five players able to drive that possession. The top lines’ breakout typically sees Dunbar and Watters move to the boards as soon as a defenceman gains control of the puck, giving passing options to both sides of the ice. Reddick will have already started skating to provide a third option carrying speed into the neutral zone. If Reddick is not a direct passing option, the wingers can take a pass to move the puck to him further into the zone, or can head up ice themselves. Both defencemen can carry the puck themselves if these options are blocked off, and all five are skilled enough to pick passes through the opposition’s forecheck. The Guildford Flames’ top powerplay unit consists of the same five players, with typically Ackered playing the point, Craige and Reddick making passes from the left and right half-walls respectively, Dunbar playing the centre position and Watters working in front of the net. However, they can also use an umbrella powerplay with a player at the point, two players at the top of the circles, and another two digging around the crease. Either set-up is dynamic, with players regularly switching positions, Ackered in particular moving to the right circle to release his dangerous one-timer. With this creativity it is no wonder that Guildford’s powerplay trails only Belfast and Cardiff in the league, ticking along at a 22.27% success rate. Guildford’s main threat is their top line, but they do have good players throughout the lineup. The second line can score as well, with Brett Ferguson carrying the puck and T.J. Foster looking to shoot whenever he can. Evan Janssen is the shooter on the third line, while Ben Davies can carry the puck out of defence with his stickhandling. Erik Lindhagen is a danger from the second defence pairing, he is another fast skating defenceman who can transition the play quickly from defence to offense, Lindhagen also quarterbacks the second powerplay unit. Defensively, Guildford tend to send one forward into the offensive zone at a time on the forecheck, rotating two checkers to press the puck carrier, then cycling back into a 2-3 lock if they cannot gain possession. In their own zone, they keep their players fairly close together with the weak-side winger positioned in the mid slot range, with the nearest player to the puck leaving the box to pressure the puck carrier. Any faceoff loss in the defensive zone tends to see the strong side winger sprint to the puck to start the press. The penalty kill is similarly aggressive, and it is jointly leading the league at the moment alongside Belfast at 85.71%. With the Giants having the home ice last change, their extra depth over Guildford could allow Adam Keefe to match a defensive skating line with the Flames top line, and then match one of the top two lines against Guildford’s third line. The Flames defensive strength is in their top two pairings, with the Abt and Jez Lundin combination struggling at times, Lundin’s +/- especially standing out at a team high -13. Alternatively the Giants may also have success playing their top lines against Guildford’s; all of their +/- numbers are in the minus, suggesting that as good as the Flames top line is offensively, they may be vulnerable defensively. The Giants move on to the Nottingham Panthers on Sunday night, who could see a defensive road game from the Giants after having to skate with the Flames over two nights. The Panthers could be missing three key defencemen in Jayden Rissling, Guy Lepine and Dylan Olsen, which could be an opportune time to play a more physical game and wear down the remaining defenders and any injury cover on defence. Keeping the puck in the Panthers zone would tire out a patchwork defence and create chances, however the two Guildford games may determine how hard the Giants will be able to forecheck over sixty minutes. Patrick Dwyer will hopefully be able to return to match the NHL hands of the newly acquired Chris Stewart, although he did not look good after the knee on knee collision that took him out of last week’s game with Coventry. If he can play it will minimise the disruption which will be compounded by finding a role for instant cult hero Jordan Smotherman. The Giants are far from a one man team, and without Dwyer Darcy Murphy and Kyle Baun both looked to be getting to their best form against Nottingham last weekend. This game is sure to be a much tighter affair than the run and gun offering served up by both teams last Sunday, and with Nottingham still looking to build some consistency for their playoff run and looking to avenge the recent defeat, they will be tough to beat after the Guildford games. A six point weekend is difficult at any time, but especially in the midst of a title chase and considering the quality of opposition this weekend. I feel four points would be a good return, six would be fantastic and really keep the pressure on Cardiff. Simply put, the rollercoaster is running all the way to March, with a weekly mantra of, “this weekend is the biggest weekend in the Giants’ title race since last weekend”. Buckle up as an intense two months of hockey continues in the Land of the Giants.